There a few Topps Tribute cards popping on eBay today. The set is set to go live tomorrow, but a few lucky people got their hands on some boxes early. 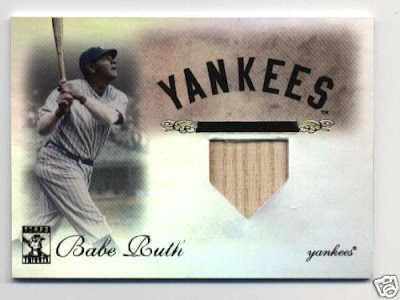 Of the cards that are up, so far the Mantle is the nicest, but dare I say I don't care much for the design. I almost feel mad not loving it. 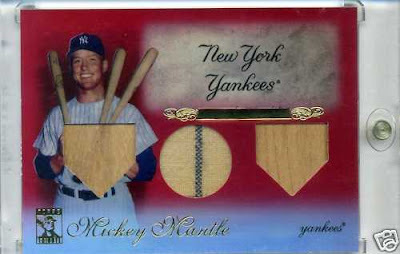 Here is the auction link for the Mantle card. 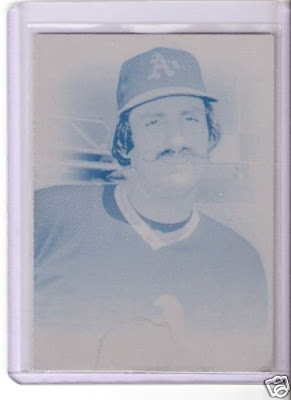 Rollie Fingers cyan printing plate. My initial reaction is that I am not blown away by the set. 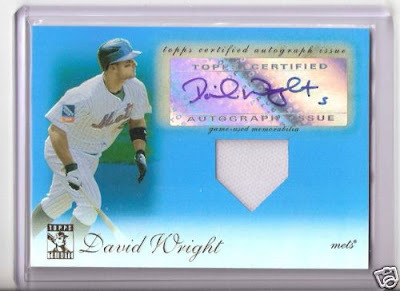 Also disappointing is the shiny sticker auto on the Wright card. I get the whole sticker autograph thing that the companies use, however, I feel on an expensive product such as this, the least they could is get the player to sign the card. How typical. The product isn't officially released yet and already there is a 1/1 printing plate available on the bay. Just like the "random" boxes that get busted by Beckett. I'm with you about the sticker autos. I get why they exist, but it sure seems like this product should have tried to get them on card.